BIS3 Provides Best-Of-Breed Tools And Technologies In Business Intelligence And Big Data Analytics. 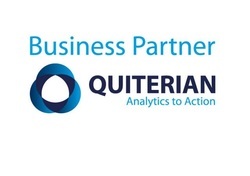 Focused on utilizing data as a critical asset for your organization, BIS3 is your strategic business partner and expert implementer for today's modern BI and analytical tools and technologies. and analytical solution with the entire Oracle Bi Suite, BIS3 can help you sort through the myriad of options in today's landscape of BI and Big Data offerings and packages.